DO NOT USE IT WITHOUT MY PERMISSION. Just leaving this here so I can report anyone who steals it. Yet, today, another sprite! (I'm bored, ok?). A friend at a certain zelda forum asked me if I could make her a Midna sprite, so I made one. Doing her helmet was the hardest... But I guess you all know that already. Oh, and kludia helped me with the idea of the pose. if you give me credit where everyone can see it, sure. Hi, thanks for asking but I'd rather no one use it as an avatar. Sorry! May I please use it for part of my group icon? Depends. Where and how do you want to use it? I was hoping to use it as an avatar. Sorry, but I'm already using it as my avatar. Thanks for asking, though. dude, may I please use this in my journal? Just as a little floating animation. I will make sure to credit you! If you do credit me, you can use it. Hey ummm can i use this as an avatar thingy?i just luv it! plz!! !I just got this account ( like litarly 5 mins ago)and i have nothing!! I cant even find out how to put the FREAKIN DRAWING ON!!!!!! oh... sry!!! so can i plz? and ya... so ya... plz!!! Sorry, but I can't let you use it. I use that same sprite as my avatar too, so yeah. Sorry. And to submit pictures you just need to click the "Submit Deviation" button on the right side of your main page. How do you make sprites? I want to make one of my own! Anyway, great sprite!! I just draw them in Photoshop using the pencil tool and then animate them in ImageReady. So...COOL! Can I use this? PLEEEEEASE?! Dang. Oh well. Still sweet either way. Tell me what you want to use it for and I might change my mind. Oh, I just want to use it as an avatar...though I now realize that's what you're doing with it. I am making a video game like Pokemon Mystery Dungeon using my imagination. 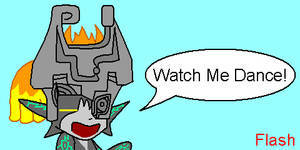 I have to use the permission to use this Midna if I want her in my game. I'll have to fav this, also because I like it. I'm really flattered you like my sprite that much, but I really don't feel comfortable allowing people to borrow my work. That's fine. I wasn't requesting it, anyway. I'm finding the great sprites for people in this game. And I can't find them. Please excuse RIPPERs incompetents but how Luis make such awesomeness!? and it moves! Please tell RIPPER will make greatness! 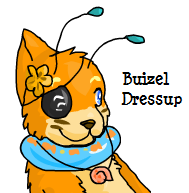 I wonder if you would mind me using this as an icon on my livejournal? I would link back to the deviation and give full credit. If you do link back and give me credit, go ahead. Show me your lievejournal when you put my Midna sprite there. The layout is very pretty But where exactly did you put my Midna sprite? Oh! I guess it wasn't up yet... it's in there now, I also use it as a livejournal icon (you can check my icons by clicking on the picture of Link), and that's where I give credit for it. If you'd like, I'll credit in other places as well? Hmm... I still can't find where the sprite is. I wonder if the layout is shwoing right to me. Could you send me a screencap of where the sprite is?